Guided reading is an important part of your reading instruction. 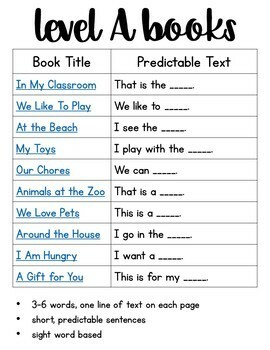 It is a tool used to explicitly teach and support small groups of students with their current level of reading in mind. What will be included when this GROWING bundle is complete? This bundle includes 50 guided reading books for levels A through E. There are ten books for each level. 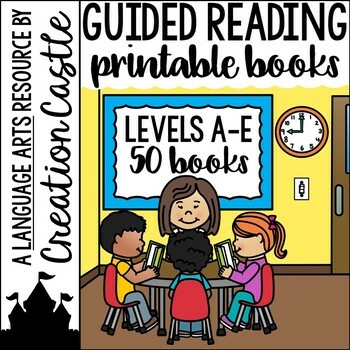 What grade level(s) is the Guided Reading Printable Books appropriate for? This resource will cover an entire year of guided reading for most kindergarten classrooms. If you have any students reading at a level A through E (or 1 through 8), this resource is for you! Even if you are in a higher grade level, the books will work great for ESL and SPED students. Each level will be given to you in a separate PDF. The complete bundle will include 5 PDFs. Within each PDF will be a clickable table of contents and 10 books. Do the books come in color? No. These books are only available in black and white to help you save ink when printing the books for your students. 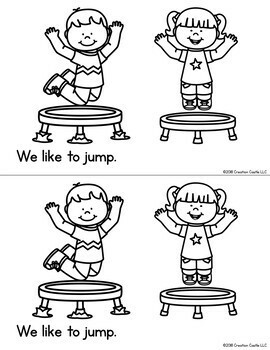 Once your students have read the books you may choose to let them color the illustrations. These are great! 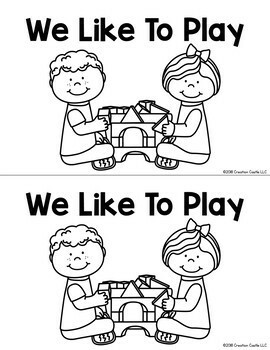 Do you have anything else for guided reading? Yes! If you like these books, you will love my Word Work Activities for Guided Reading Levels A to E. It includes 30 quick word work activities to use during guided reading or small groups with your students. We don't use guided reading at my school. Can I still use this? Yes! All the books included would be great when working with RTI, ESL, and SPED students. You or a parent volunteer could also use the resources during tutoring sessions.